Storage systems have been with us from very ancient times. These systems have helped in spatial organization of living, commercial and manufacturing areas. Organized storage primarily means segregation and stacking of entities for the purpose visual identification and easy access. Storage systems for foods have been conceived for isolation, preservation and maturation. Commercial and manufacturing storage systems serve the same purposes, but for former visual merchandising and for the later goods and tools, access was important issues. Storage Cabinets have been known by many names. Almirah is a Portuguese word, Hindi = Alamari, describing a free standing closet. It was a place to keep vestments in the sacristy of a church. Almirahs in modern sense are synonymous with cabinet, cupboard, wardrobe etc. A cabinet could be an open or shuttered-storage entity, so may not be equated with open storage systems with shelves in niche, alcove, bay or recess. The Sandook, Patara, Manjusha (Hindi), Chest or Box, are all storage units of ancient origin, and considered predecessors of Almirah. Manjusha generally means a box for jewels, or treasure chest. These are associated with nomadic life, so were compact but were multi-functional. These were accessible only from the top and so were cumbersome for storing. These storage units, like the almirah, had few compartments or cells to store small things, and secret chambers for the valuables. Nagamochi kuruma wheeled trunks are the oldest documented category of tansu. An important category of storage systems includes a chest of drawers, bureaus (French word for office), secretary, secretaire, or escritoire, and desks. These were primarily used for home-based offices, personal study areas, as communication console by officers, ministers and scholars. The units were independent entities, placed against a wall, and often on a raised platform of 100 to 200 mm height. The drawers were for minuscule in size for storing pins and pens, to very large ones for books and manuscripts. The efficiency of access and ergonomic size made them very popular and began to be used in bed rooms, dining rooms, pantry areas, shops, hotel lobbies, restaurants and bars. In bedrooms these were used as personal craft-station, as Lingerie chest for storing socks, underwear, hands kerchiefs, napkins, as a parlour for make-up things. Lingerie chests were of highboys or tall design where a set of drawers as a tall chest of were mounted on legs. Parlour chests were comparatively lower volume chests, of a bureau-dressing table in combination with a pivoted mirror on an integrated stand or as a wall-mounted frame. In entrance halls the chests had drawers for shoes but low enough to sit on it to tie shoelaces. Entrance hall chests were accompanied by long wall mirror, a coat stand, and umbrella tray. 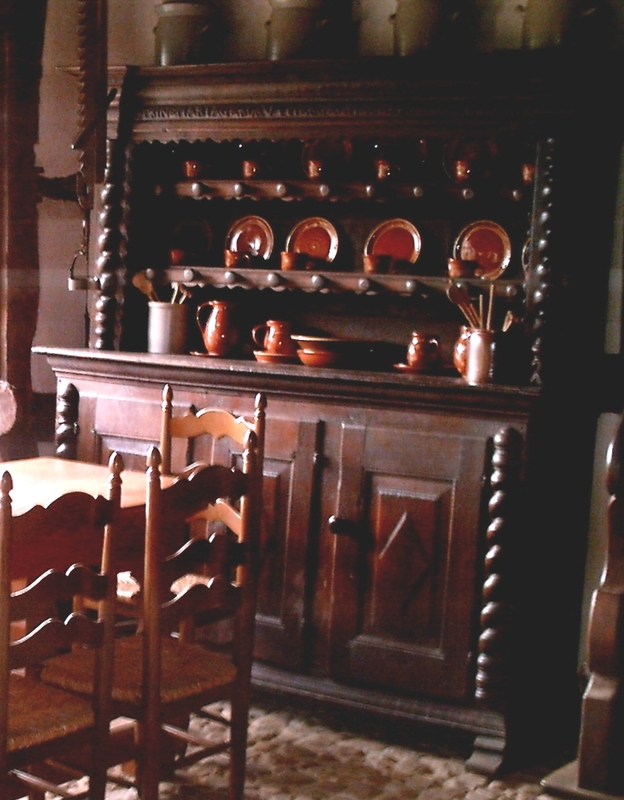 In dining rooms these became cutlery and linen station taking away the functions of silver room. The bureaus made their formal appearance in 17th C across Europe. These were similar to modern day office desks, with a set of drawers or shuttered cabinets on sides and knee-space in the center. The knee space often had a drawer, or a flat pull out board for writing. Europe bureaus as a writing desk had no knee space, but the top section had a fold-down flap that rested at both edges on sliding vertical supports. The projecting fold-down flap provided sufficient knee space. The fold-down flap covered a set of pigeon holes or micro-sized drawers. Design and construction of bureaus was considered a challenge for furniture makers of the times. But as the time progressed designs became lighter, hardware superior and finishing techniques elaborate. The nominal inclined top was replaced with an accordion like folding flaps, or a curved tambour top. By 19th C it essentially became either delicate feminine furniture or robust commercial-use facility. Shelved storage systems were used for storing scrolls, manuscripts and arms. These were mostly open systems, to permit aeration and in colder climates prevent water condensation, but the same need some enclosure in other climates. The enclosure was provided to the entire room containing such shelves, rather then group of shelves. Almirahs were used where storage requirements of smaller volume. Shelving storage systems were in built niches or alcoves and formed within panelling system. 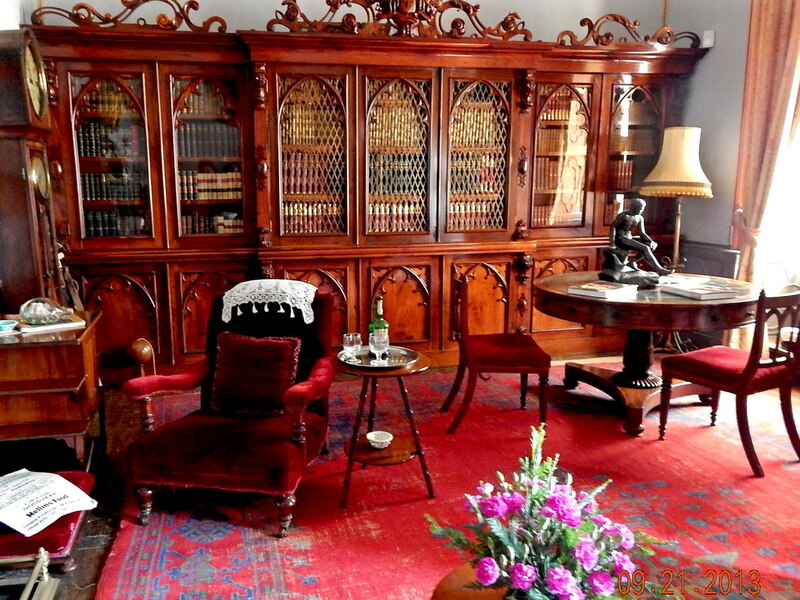 From later part of 18th C it became fashionable to stock famous books in tea-coffee rooms, drawing rooms. Real and false libraries (with slices of books spines) were created as part of room panelling design. With availability of good quality of glass in late 19th C these were covered with wood framed glass shutters. The industrial revolution period saw streamlining of production processes. These required huge warehousing systems for raw materials and finished products. New storage devices such as steel-angle racks, steel almirahs, file cabinets, index card drawers, were now available.